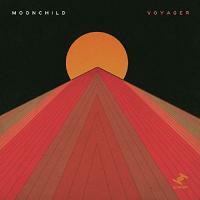 Titre(s) Voyager / Moonchild, ens. voc. & instr. Editeur(s) Tru Thoughts, P 2017. Contient Voyager (Intro). - Cure. - 6am. - Every part (For Linda). - Hideaway. - The list. - Doors closing. - Run away. - Think back. - Now and then. - Change your mind. - Show the way. - Let you go.